The race starts at Glacier View Campground at mile 59 of the McCarthy Road. The route goes up to Kennecott National Historic Landmark and back down to historic, downtown McCarthy. The route follows gravel, dirt roads and packed dirt trails. Start at Glacier View Campground. Finish in downtown McCarthy. The race starts on the McCarthy Road, crosses both footbridges over the Kennicott River and follows the Wagon Road. The 5 Miler turnaround is located where the Wagon Road meets the main road by the mail shack. 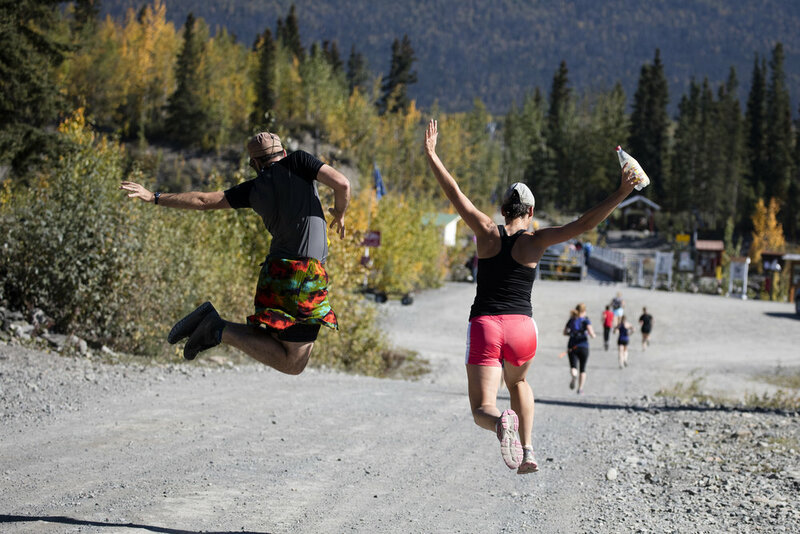 The half marathon route keeps following the Wagon Road to Kennecott, then climbs to the top of the Mill Building, cross National Creek, and then follow the main road down to the mail shack and back to McCarthy. Water stations and outhouses are marked on the map. The route will be marked with flagging and signs. The run will be followed by an awards ceremony and spaghetti dinner at the Old Hardware Store in McCarthy at 6:00 pm. Entry fee is $30 for adults and $15 for participants under 16 and includes tickets to the spaghetti feed dinner. All proceeds benefit the Wrangell Mountains Center.